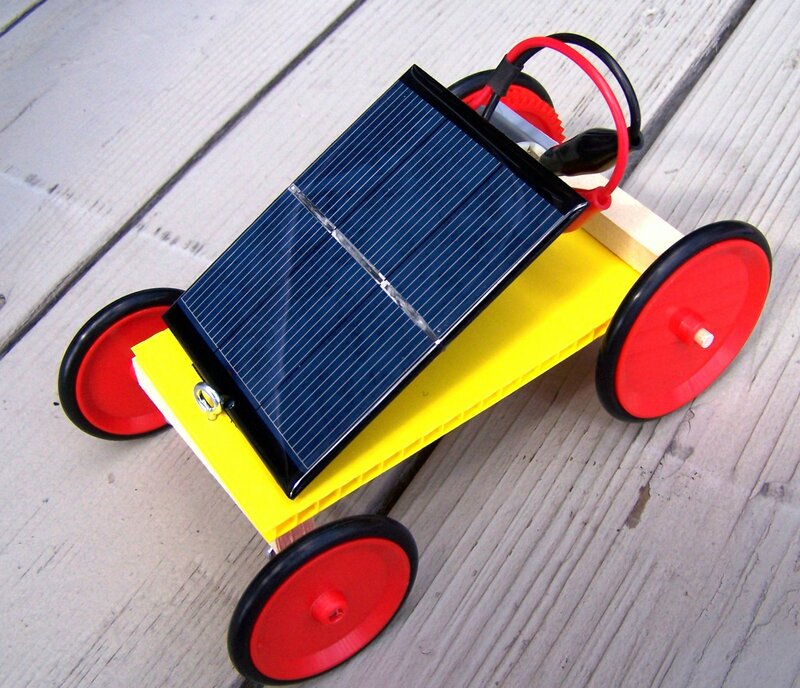 A solar powered toy car from SunWind.ca. Here my little girl is attempting to screw in the little eyehooks that eventually will be the holders for the front axles… turns out it was a ‘Mommy’ job.. but she felt all big for trying! How cute is this thing? And does it work? Totally on solar power? Oh Yeah ya’betcha baby. Talk about the perfect playtoy? No batteries to run out. And they have to get creative with how to run the thing… cuz as soon as it hits shade? It stops. So they rigged up several ways to set up the photo cells on top so it could be turned around and run in another direction. 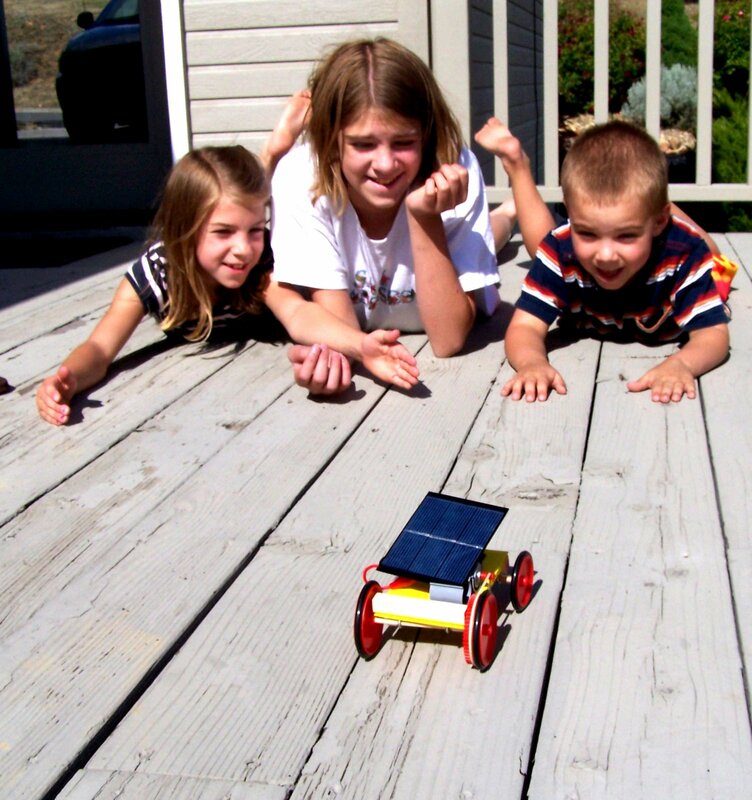 Bonus: Great lessons on mechanics, engineering, solar power…and yeah… FUN! 2. I got the inspiration for our Father’s Day Cards from : FreeCraftsForKids.com. It’s a no frills site with FABulous ideas! Oh my gosh I was totally floored by Amy Platon’s idea for a kid crafting area! You will be too! (Hint: those are spice jars filled with paint…) Amy blogs at ScribbleInkCafe. Oh my crazy cuteness. This one isn’t a project, but sheesh do we just LOVE the designs on this Monkey See, Monkey Do clothing line? The materials are all organic. And when lined up the images tell a story! I love the swimming ideas! 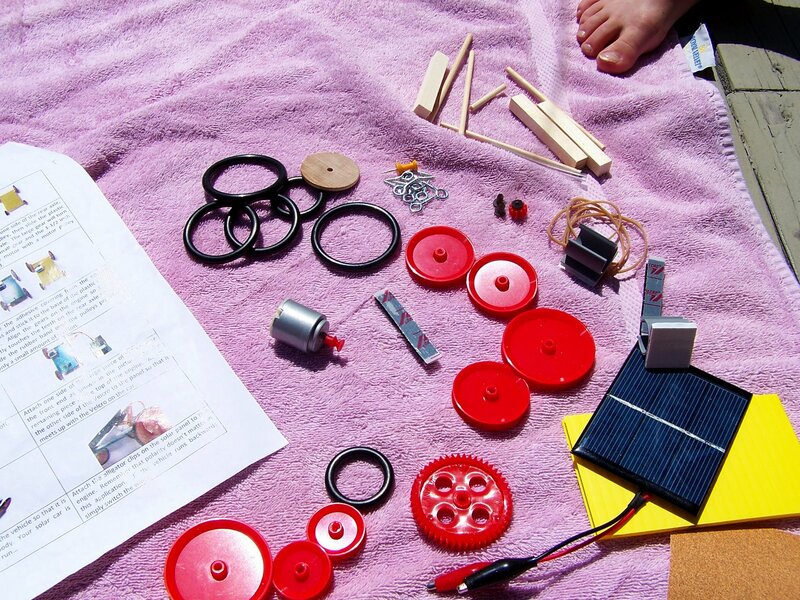 Would you like to add your summer activity idea to this list? You are currently browsing the archives for the kid craft organization category.